In 1995 the Mishidesign studio was born, specialized in the design of toys and in collaborations with companies such as Lego, Mattel, Tiny Love, Paper Pare. In 2007 the Mishidesign Innovation Products brand was launched to offer more sustainable solutions to the toy market. During childhood, children face a series of changes that lead them to a progressive autonomy from the motor point of view; toys do not follow these changes as quickly and quickly become useless and are inevitably set aside. The innovative Mishidesign line of toys is designed to adapt in shape and function to the various stages of development of children, following them in growth for a longer period of time. The toys are designed to be used both indoors and outdoors in compliance with European and US regulations. The materials are of high quality and recyclable. The products are sold in a flat box and not bulky, moreover, they can be easily assembled and transformed by an adult. 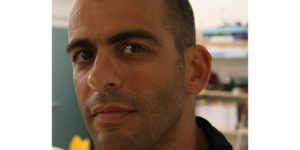 Mishael Tzoreff, founder of Mishidesign, was born in Tel Aviv in Israel. He graduated in industrial design at the University of Tel Aviv and subsequently graduated in Industrial Design at the Domus Academy in Milan. In 1995 he founded the Mishidesign design studio in Milan with particular attention to the world of toys. In 2007, with the help of the Milan Chamber of Commerce, production began with the brand Mishidesign Innovation Products, a company that produces and distributes an innovative line of wooden toys. If you have any further questions, or you need additional informations, you may also contact us trough our contacts.